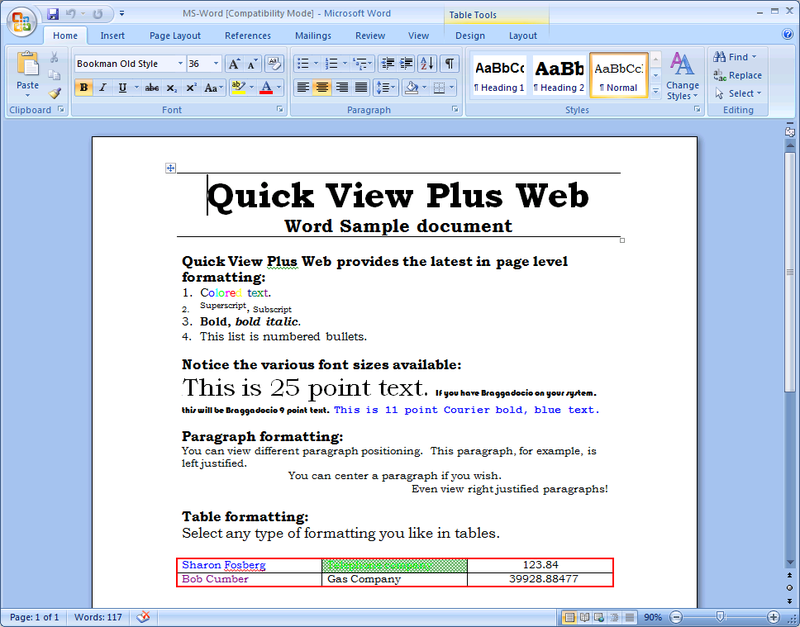 Quick View Plus Web 2017 is an HTML5 document viewer that enables users to view virtually any file in a web browser without the need for desktop-based software. 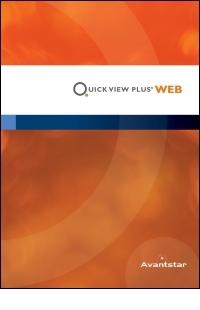 Quick View Plus Web integrates with your website or web applications, including document management, eDiscovery and review solutions. Quick View Plus Web can also extract text from files, generate final form versions of files, display metadata, and even show “hidden” content in files, making extra information in files visible. Quick View Plus Web provides powerful file viewing within popular web browsers, with no desktop software to install, configure or maintain. And Quick View Plus Web can integrate with a third-party application, providing a seamless user experience and workflow. Quick View Plus Web gives you the ability to view hundreds of file formats, complete with native file formatting. Pass a keyword programmatically to Quick View Plus Web from a third-party application, with any search hits displayed as highlighted text within the document. Perform ad-hoc searches in the open document from within Quick View Plus Web. Add highlights to a file for increased attention or add comments to explain content or request content changes. Redact text within a file to hide it from the view of the file. Once redacted, not only will the text not be visible, it will also be removed from the document so it cannot be searched. View and search metadata within files, as well as hidden information such as speaker notes and comments in presentations, and hidden rows and columns in spreadsheets. Please contact us for pricing information related to Quick View Plus Web. Quick View Plus Web provides advanced native file viewing and search capabilities from within popular browsers including Google Chrome, Internet Explorer, and Firefox. It’s powerful API options are designed to allow you to easily integrate with third-party applications, such as litigation-case management, eDiscovery, and document management platforms, with no desktop software or plug-ins required to view files. Quick View Plus Web retains original formatting with near-perfect fidelity, allowing you to see content as it was originally created, including text formatting and graphics within documents. 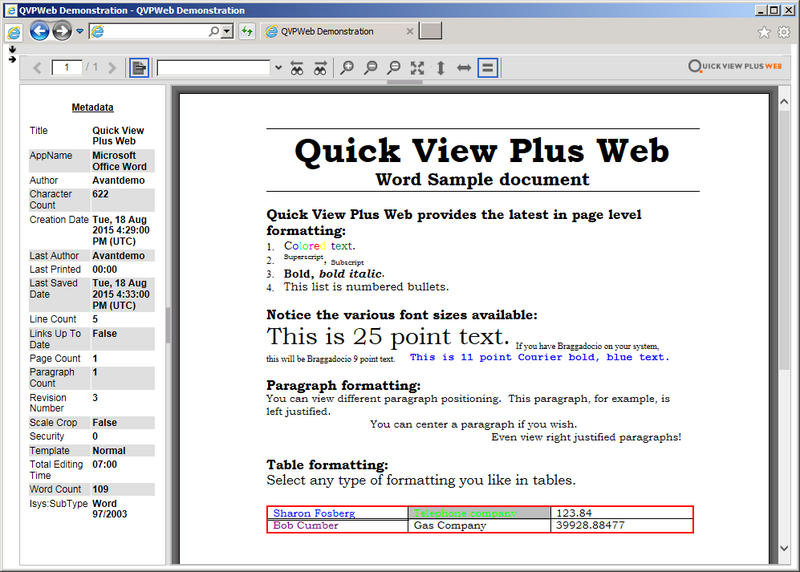 Quick View Plus Web provides access to the widest range of file types, from text and word processing documents to email, database, spreadsheet, presentation, design, raster, and vector image files—hundreds of file formats. 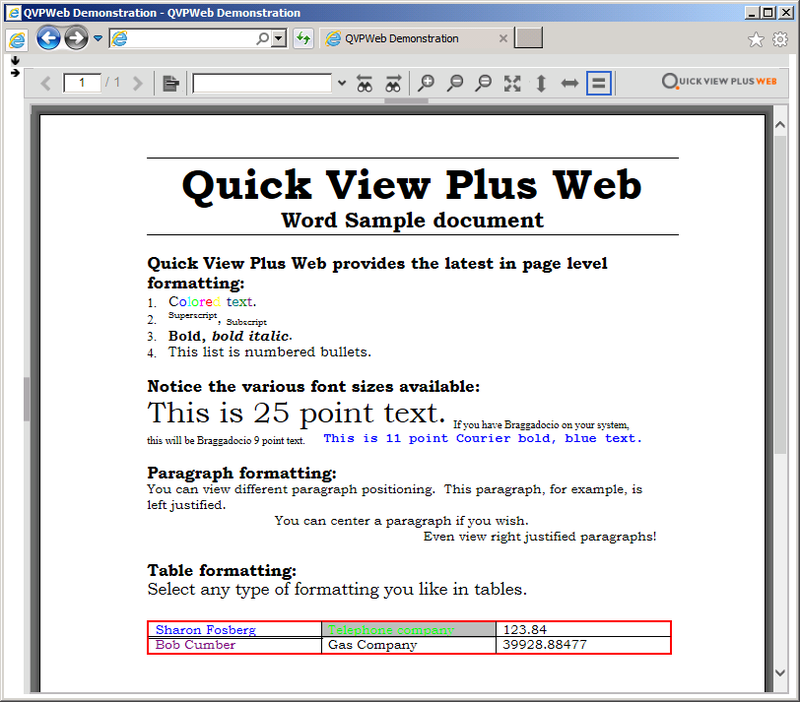 Quick View Plus Web allows you to add annotations to a document. Annotations can simply be highlighted text or can include comments as well. Quick View Plus Web delivers the ability to redact content within a document. Simply select the text you want to redact. Quick View Plus Web allows you to see the underlying content that was redacted prior to it being output as a final version of the document where the redactions would be applied and redacted content would not be searchable. Perfect for eDiscovery. Once you’re ready to create a final production of files, output files as TIFFs or PDFs. In addition to the content of the document, the final form production can be set to also include any annotations or redactions. Quick View Plus Web offers the ability to show thumbnails of each page within a file to the left of the main view window. This allows a user to quickly find a certain page based upon a view of smaller representations of the pages in a file. The thumbnail view is based upon the base content within a file. Allows an external application to pre-search the document data and provide data to the Quick View Plus Web application to highlight in the file view. In addition to the regular parameters of a document request, an additional parameter called highlights can be passed as well to communicate specific settings for the highlights. You can also perform ad-hoc searches in the open document from within Quick View Plus Web. 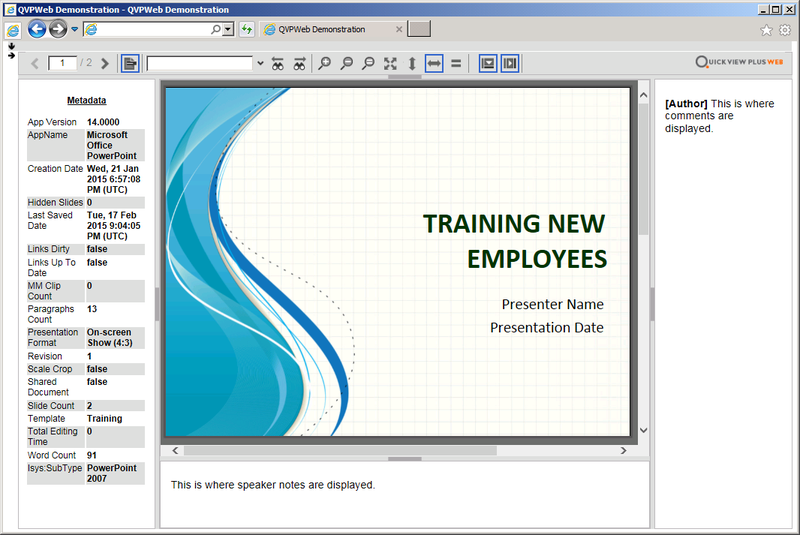 Quick View Plus Web displays file metadata, plus other information, such as speaker notes and comments in presentations and hidden rows and columns in spreadsheets, not visible in the document itself. Quick View Plus Web's API is designed to integrate seamlessly with your existing third-party applications, such as litigation-case management or eDiscovery platforms, so it can provide a consistent user experience. As an integrated HTML5-based tool, Quick View Plus Web increases the speed at which review teams can work by integrating native file viewing into their standardized legal review platform. There’s no desktop software to install, no new interface to learn and no switching between applications. How does Quick View Plus Web work? Quick View Plus Web can be loaded within an application and called identifying a document, and the service will retrieve a copy of that document, convert it to an HTML5 representation of the document, and load the converted document in the Quick View Plus Web viewer. Who is Quick View Plus Web for? Quick View Plus Web is for application and web developers that wish to incorporate native file viewing of documents into their web based applications. Is there an API to help me integrate Quick View Plus Web with my application? Yes, Quick View Plus Web includes an API to allow direct calls within your web based applications. It also provides options that allow you to control the initial settings. Can I test Quick View Plus Web without first integrating it into my web application? Yes, Quick View Plus Web comes with a fully functional demo application. Simply install the demo application, as part of the default installation, and then access the site through your web browser. The Quick View Plus Web demo application allows you to view files on your server’s file system. What browsers does Quick View Plus Web support? Quick View Plus Web supports modern browsers that support HTML 5, such as Internet Explorer 11, Mozilla Firefox and Google Chrome. How is Quick View Plus Web different from Quick View Plus 2017? Residing on the server, Quick View Plus Web requires zero footprint or installation of plug-ins on the client systems. It converts native documents for viewing on the fly for viewing through a web based application. Quick View Plus 2017 is focused on individual desktop systems for use by users viewing native files. No web page or development is required to utilize Quick View Plus 2017 to view native files directly. Can I use Quick View Plus Web to view files on my local hard drive? Not directly. The conversion occurs on the server so the files have to be accessible from the server it is installed on. Contact us for integration licensing information with document management systems. It's easy to bundle Quick View Plus Web with your own solutions. Contact us for more information.